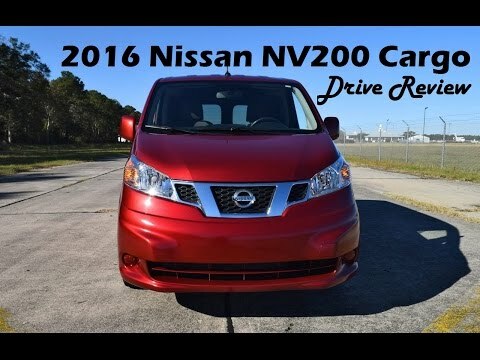 The 2017 Nissan NV200 is a small, efficient cargo van. Not to be confused with its huge brother the Nissan NV, the NV200 can fit in a garage and is easy to drive. This compact van doesn't pack the power or payload capacity of rivals like the Ford Transit Connect and Ram ProMaster City, but it undercuts them in price. It's cargo area is roomy and the addition of the wire screen separating the cargo area from the driving area is very nice as well as the shelving unit they installed. The only problem, the gas tank is small and gas mileage could be better. Other than that this vehicle is perfect for me and for what I use it for. I have never regretted purchasing it. It is a very useful vehicle. It is the 'transit connect' Nissan version. I like the fuel mileage I get with this vehicle. I like the utility. Aspects. I hauls a lot for a little box. I do not like the noise level. Comfortable, very good small utility vehicle. PROS: Great small utility vehicle. Good milage, lots of room, back doors open wide for pallets. CONS: noisy, tinny. Basic..